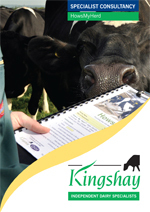 Whatever your challenges, from practical to strategic, we have the experts to help you get the best from your farm. Put us to the test! 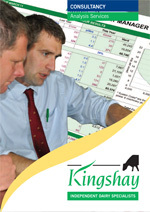 Put Kingshay information into action on your farm with down-to-earth advice from our experienced farm consultants. 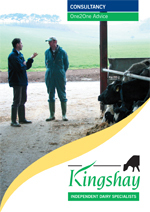 We provide specialist consultancy on a range of subjects from dairy consultancy, cow housing, dairy nutrition, dairy business management, livestock nutrient management and environmental schemes. Every dairy herd has stress. It's a practical reality. Use our service to help you identify and manage the hidden performance suppressors in your dairy herd to reduce cows stress. 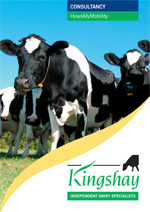 For any dairy farmer healthy cows are fundamental to generating healthy farm profits. 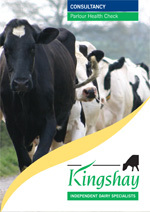 All our mixtures are based on our independent grazing preference work using commercial dairy cows. 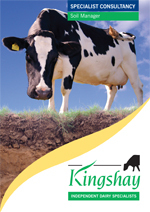 Maximise grazing potentialIncrease milk yields by up to 2 litres per cow per day by grazing Kingshay Leys. Benefit from our independent research – we can supply the exact mixtures with no variety substitutions.